Word of mouth is one of the most powerful marketing concepts you can master. 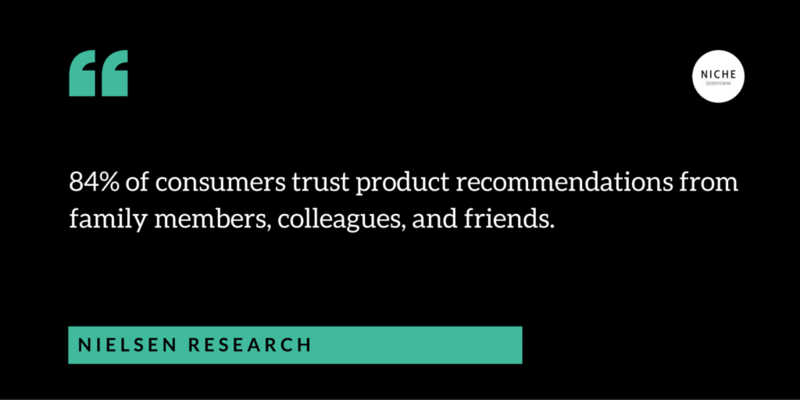 In a recent study, Nielsen research determined that 84% of consumers trust product recommendations from family members, colleagues, and friends. A recent study of business development processes also showed that referred leads converted into customers at twice the rate of cold leads. Using these techniques, you can turn your existing customers into ambassadors for your brand, and use their networks to generate new leads for your products. 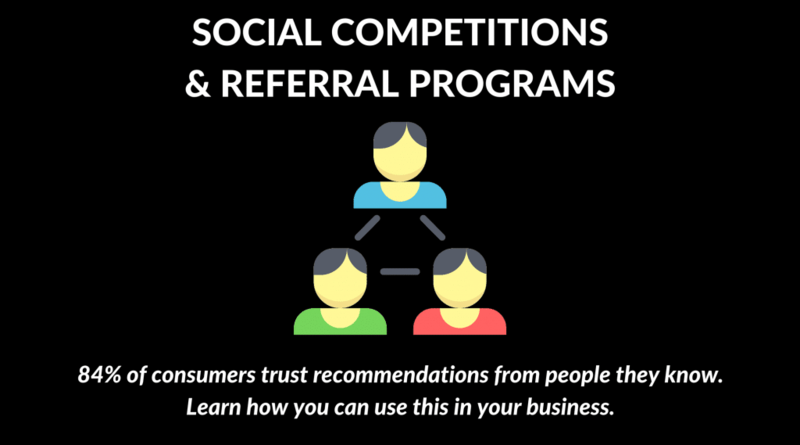 Referral programs break through the unfamiliarity barrier that exists in the minds of cold prospects, relying on the trust they’ve already built with people they know to spread the word. Existing customers are your best ambassadors, as there is no stronger influence than someone who has already been subjected all of your processes and can describe them from start to finish. Your interactions with them—customer service, user-friendliness of your site, the fairness of your pricing—will shape how these individuals speak about your brand to others. Before you begin using different channels to widen your reach, ensure those who speak of your company will have nothing but positive things to say. After you’ve solidified your current consumer base, your job becomes making sure their positive experiences are easy to share. Highly visible links, QR codes, and/or share buttons during any online process is recommended to encourage them, along with incentives like future discounts to give them an extra push to talk about your company. Incorporating these tactics in your e-mail campaigns is one of the more direct ways to target previously satisfied consumers, as they are more likely to participate. Also, consider providing consumers with a platform to submit reviews of their experience, and for your products if you’re confident. A user may not trust a referral from a complete stranger, but they will trust a few hundred referrals from a few hundred strangers. Reviews also provide you with a list of people you can target in future referral programs. Be sure to employ analytics to track different avenues of referrals and their effectiveness, so you can pinpoint where to target going forward. Social media has become one of the most effective platforms for referral marketing, as the reach of friends and family has extended well beyond those seen at work and in daily travels. A single post on social media can reach thousands of people instantly, depending on the amount of friends or followers a person has on their profile. Even if only a fraction of these followers share the information, the potential for exposure increases exponentially. Social contests are designed to encourage users to share your content to their networks in exchange for the opportunity to win prizes. Running a social referral campaign starts with forming a clear set of goals. Do you want to create awareness for your company or products? Increase sales? Diversify your customer list? Your goal will define the way you execute your campaign. You would then organize your reward structure, deciding if you will offer discount coupons, free gifts, store credit, public recognition, or other incentives you deem desirable to your audience. As with any referral program, make it easy for them to participate—it shouldn’t take more than two clicks for them to follow through. Potential sources of referral aren’t limited to friends and family, as a referral source can be any vessel of information that the user trusts. A source could be a news publication to which the user has a subscription, an influential blogger that has garnered comments from the user indicating their reliance, or a site that aggregates consumer reviews/opinions for which the user is an active participant. Different strategies abound, but the main takeaway is this: Provide exceptional service to paying customers, and make it easy for them to talk about it. How will you use this in your business? Remember to set clear campaign goals based on your specific business needs. Your goals will determine what you offer as rewards, where you share your campaign, and how you will track its success. Specialized software is available to help you build campaign landing pages, tally up the shares, track the effectiveness of social campaigns, determine the winners, and automatically deliver the prize(s) to them. See tools for more detail. Display referral programs on your website clearly, including sign-up forms and all post-sale pages and emails. Let your customers know right away that they can get value from referring their followers and make it easy for them to do so. A good way to boost a referral campaign is to offer prizes to the ambassadors as well as those they refer. This encourages the rapid spread of your message to an even wider audience, using volume to offset the expenditure of prize giveaways. 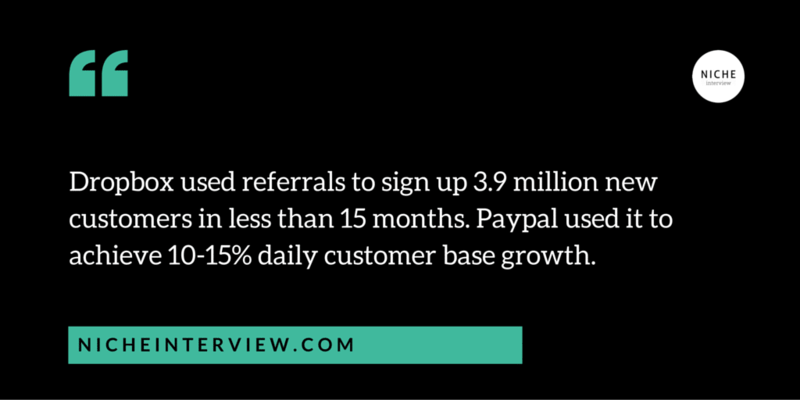 Referral campaigns aren’t limited to online sales and promotions. Consider adding materials like cards and QR codes to your product packaging, and adding incentives to these materials similar to your social referral campaigns. Excellent reads on referral programs and social contests, with examples from SaaS applications like Dropbox and Paypal to Fashion, Beauty and Grooming, Electronics and Gadgets and Food & Beverage eCommerce (as well as other industries such as toys, services and even private jet charters). 84% of consumers trust recommendations from their friends. Referral Programs and Social Competitions can help you tap into this.